The furor has grown since the Guardian newspaper reported that some people who came to the U.K. from the Caribbean in the decades after the Second World War had recently been refused medical care in Britain or threatened with deportation because they could not produce paperwork proving their right to reside in the country. “What has happened to the Windrush generation isn’t an anomaly. It’s not due to an administrative error. It’s a consequence of the hostile environment created by this [Conservative] government,” London Mayor Sadiq Khan, a member of the opposition Labour Party, said Sunday. 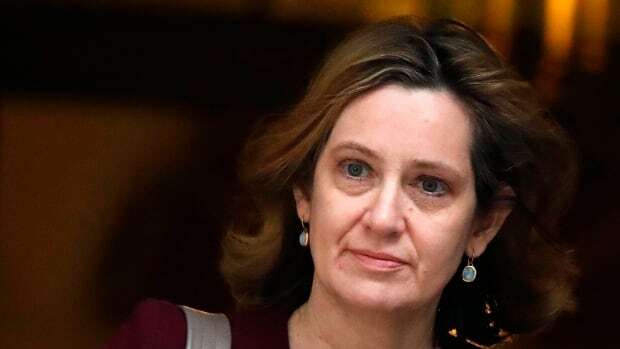 Rudd said she didn’t see the memo, but The Guardian later published a leaked letter she wrote to the prime minister discussing an aim of increasing removals by 10 per cent. Opponents say the government should drop that target in the wake of the Windrush debacle. The scandal is also causing anxiety for the three million EU citizens living in Britain who are concerned about their immigration status after the country leaves the EU next March. The British government says they will be allowed to stay and has promised to set up a simple no-fuss registration process.